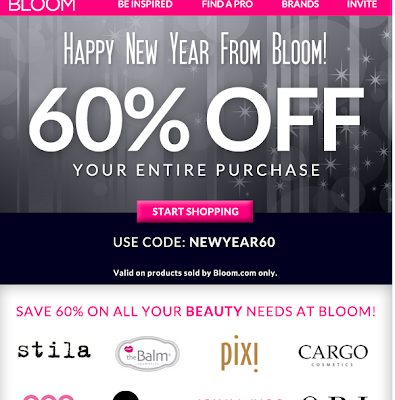 Beautiful Incentives: Bloom.com beauty products are 60% off !! Bloom.com beauty products are 60% off !! Amazing site called bloom.com. I found them a yr ago and have ordered a lot since then. RIGHT NOW, you can take advantage of their HUGE 60% off sale (valid only on bloom.com items) AND get $25 every time someone you invite with your unique link purchases something. Win win! They have some great ESSIE nail colors you can snag, just as one example!